Two Nigerian Army generals escape Boko Haram mines – Royal Times of Nigeria. 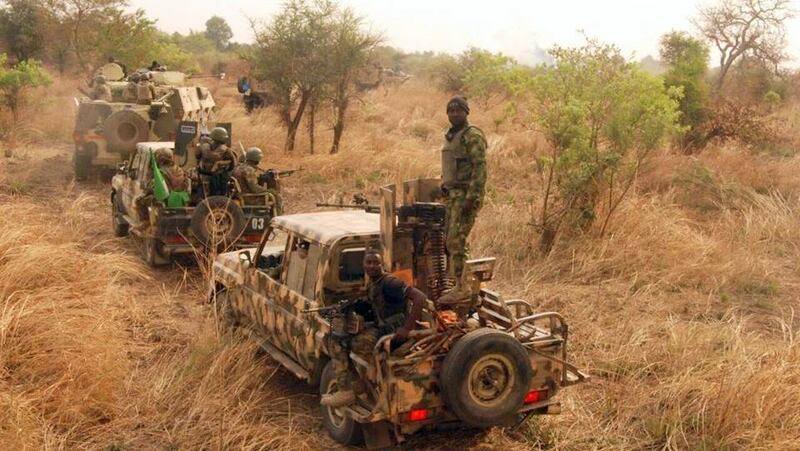 Two senior Nigerian Army officers escaped harm as their convoy encountered and cleared four Improvised Explosive Devices (IEDs) buried by suspected elements of Boko Haram terrorists along their way from Bama to Gwoza on Saturday. The Director Army Public Relations, Sani Usman, stated this in a statement in Maiduguri. The Chief of Administration, Nigerian Army headquarters, Muhammad Alkali, a major general, and the Acting General Officer Commanding (GOC) 7 Division Nigerian Army, Victor Ezugwu, a brigadier general, were returning from an operational visit to troops involved in clearing of insurgents when they encountered the devices. “They encountered the four clustered IEDs buried at a crossing point along Banki Junction and Pulka road, about six kilometres to Firgi in Borno State,” Mr. Usman, a brigadier general, said. “The Explosive Ordinance Device team, however, were able to quickly detect the deadly IEDs and safely extracted and detonated the device. “The two senior officers were on operational visit to troops of 26 Task Force Brigade deployed for Operation Lafiya Dole currently engaged in Operation Deep Punch. The Nigerian Army recently requested help from the United Nations in removing Boko Haram mines from liberated areas in the north-east. On April 5, a UN team arrived Nigeria to assess the number of landmines Boko Haram terrorists have laid in the Sambisa Forest. The mines are believed to have been planted by fleeing Boko Haram members who have lost majority of the territory they once controlled to Nigerian forces. The Boko Haram insurgency has caused the death of about 100,000 people since 2009, according to official figures.